Hope you all like it. 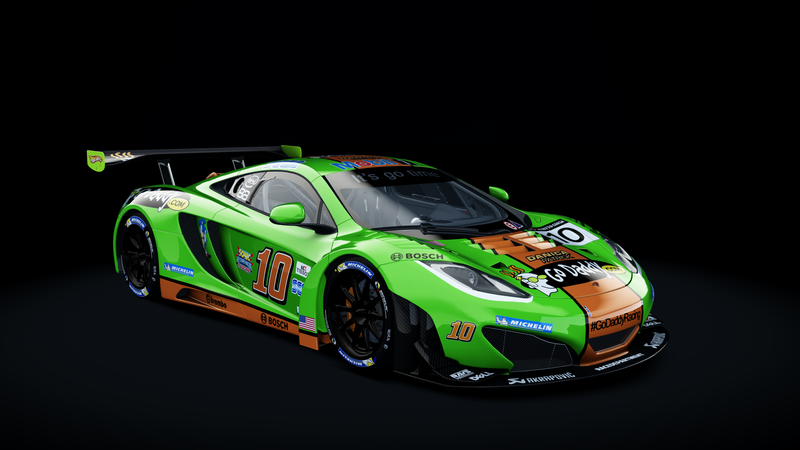 Just unpack archive into your cars\mclaren_mp412c_gt3\skins folder. HansDG, stormcat13, chrisi2174 and 12 others like this. Good skin, i usually not use fictional skin but this look nice;) Thx you!! Can't believe I never downloaded this one. Wonderful job i love it so much thankssssss :-) :-D !!! Perfect! Thank you as always, much appreciated. Thanks, this is a very old skin I did. Surprised people are still downloading it but thanks for the review. Thanks, I tell you what, the GoDaddy skin looks awful on the LaFerrari. Tried it and scrapped it. Wonderful and nice work...thank you so much for this yeahhhh ;-) !! !